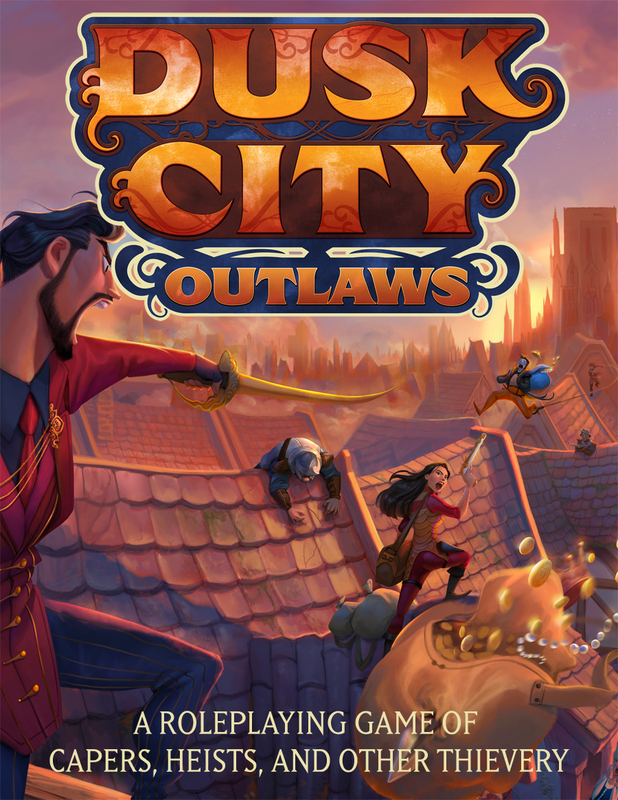 If you purchase your physical copy of the Dusk City Outlaws box set from ScratchpadPublishing.com, you will receive the PDFs of the core game through DriveThruRPG as a part of your order. Links to redeem your complimentary PDFs will be sent 24-48 hours after your copy of the game ships. If you own the Dusk City Outlaws game and manage to run through the character or crew sheet pads, not to worry! You can download PDFs of each one at DriveThruRPG for free. Each sheet comes in both color and black-and-white versions, with a printer-friendly version of each included as well. For the printer-friendly versions, simply print the sheets off on a standard Letter-size sheet of paper, double-sided, and then cut the page in half to produce sheets of a similar size to those included in the box set. Mark Hulmes run Dusk City Outlaws on the High Rollers stream. Part 1 of an actual Play session of the tabletop roleplaying game Dusk City Outlaws. Featuring Sam Witwer, Elisa Teague, Tom Lommel, Spencer Crittendon, and game designer Rodney Thompson. Recorded at the Saving Throw studio in Hollywood, California. Part 2 of an actual Play session of the tabletop roleplaying game Dusk City Outlaws. Featuring Sam Witwer, Elisa Teague, Tom Lommel, Spencer Crittendon, and game designer Rodney Thompson. Recorded at the Saving Throw studio in Hollywood, California. The finale of an actual play session of the tabletop roleplaying game Dusk City Outlaws. Featuring Sam Witwer, Elisa Teague, Tom Lommel, Spencer Crittendon, and game designer Rodney Thompson. Recorded at the Saving Throw studio in Hollywood, California. The Saving Throw Show crew plays through the Gunpowder Job. Rodney Thompson runs The Gunpowder Job for the Divvy the Loot stream. Rodney Thompson runs The Portrait Job on Divvy the Loot. Rodney Thompson runs Dusk City Outlaws on LoadingReadyRun's AFK show. The Portrait Job is a scenario designed by Rodney Thompson to support the Dusk City Outlaws Kickstarter Campaign. It was played through live on the Divvy the Loot livestream on February 19, 2017 with Rodney Thompson as Judge. This Job is meant to be played over the course of 2-3 hours and involves stealing the sorcery-laden portrait of a long-dead noble from the study of his descendant, a reclusive nobleman. The Museum Job is a scenario designed by Rodney Thompson to support the Dusk City Outlaws Kickstarter Campaign. It was played through live on the LoadingReadyRun AFK livestream on February 24, 2017 with Rodney Thompson as Judge. This Job is meant to be played over the course of 2-3 hours and involves stealing an oversized bust of great historical value from a museum gallery the night before it is scheduled to be sold.